Our very short gospel passage this morning packs both a social and theological punch. It is the continuation of Jesus’ words to the first disciples as they are being sent into the world as ambassadors for Christ. That is the meaning behind the words “whoever welcomes me welcomes the One who sent me.” To welcome is no small gesture. It is a gesture of cosmic importance. This year we took our understanding of welcome to a new level when we became a Reconciling in Christ (RIC) congregation. Welcome appears six times in these two short verses. Are we numb to its significance? Do we talk about welcome so much that its like a song played too often? Our front doors sport mats with the word “Welcome.” Tourism abounds with signage- Welcome to Minnesota. Welcome to Wisconsin. Even the town Veterinarian gets in on the welcome with their humorous take. Welcome. Sit. Stay. In the verses that precede our reading, Jesus tells the disciples that they are to have utter reliance on God. Again, not as am empty gesture of trust but as a deep theological understanding that everything they do as ambassadors of the one who sent them, puts them literally into relationship with the Trinity. Theologian Debra Dean Murphy writes, “Those of us who are sent (the early disciples AND us) represent the functional presence of Christ. The disciples represented the full presence and power of Jesus, just as Jesus bears the full presence and power of God. Matthew stresses throughout his Gospel that this is not about hierarchy but symbiosis.” In other words, a seamless, working together. This entire discourse makes it clear that God’s power is now at work not only in and through Jesus, but in and through his disciples. Are you smellin’ what I’m cookin’ here? We’re good at welcome here at Salem. We know it’s about more than just being nice to people. We’re not being nice SO we can socialize others to come be just like us. No. We get that we are being changed by our welcome. Hospitality and welcome are reciprocal. They are about mutual encounter. By seeing Christ in each other, we are inviting God to incarnate among us. That side of welcome bears the potential to change the way we see Jesus. In no uncertain terms, we are called to welcome who God welcomes. To love who God loves. It’s perfect that this is Pride weekend . If you have any notion that this is a weekend dedicated to the vanity of pride, let me set the record “straight.” Pride events came out of the reality that we lived in a world that would not yet affirm or welcome us. Pride events became a way to collectively care for ourselves, letting our community know that they were not alone. Thanks be to God that today Pride is about celebrating the advancements of affirmation, welcome, and equality. This week I received a copy of a speech given by a straight friend of mine, Pastor Amanda Zentz Alo, pastor of Central Lutheran Church in Portland Oregon. We went to seminary together. She was asked to speak at a Pride event and this is just part of what she said. And so…I cannot stay silent when the actions of a social structure stand firmly against all of these tenants. I cannot stay silent when I see the pain in the eyes of children who have been told that their love is wrong. I cannot stay silent when young adults seeking to live with integrity and faith are told that must be fixed. I cannot stay silent when an organization encourages people of faith to live in relationships that are not based upon authenticity and honesty. I cannot stay silent when in our community there are many who can be harmed by this errant theology that is not supported by the loving God of grace who sent Jesus Christ to dwell among us. [I cannot stay silent when] There is the breaking down of community that God wishes only to have built up. Our faith calls us to love and serve our neighbors, not to harm them; to build up community, not to tear it down. END QUOTE. Each time we are offered the Eucharist, it is not I or even the communion servers who are inviting you, it is Christ who welcomes you to the table of grace. And it is Christ who is the gift. The gift of Christ comes full circle as we become Christ for the neighbor who is Christ for us. That is the other side of welcome. May it be so. The story of Ruth, Orpah, and their mother in law Naomi is often read at weddings and on Mother’s Day, in part because mother love isn’t always biological. There are the mothers who give us birth and the mothers who give us love. Sometimes our mother figures aren’t even female. Ruth and Naomi were what we call “chosen family.” Not only were they devoted, their love protected one another at a time when being widowed could mean being left alone to fend for yourself. Their story is one of love and loyalty connected by loss, but it is also about life’s greater movements, those times when the spirit calls us into some kind of change or migration. Migration stories are everywhere within the bible. Naomi and her husband felt that spirit when it moved them from Judah to Moab, the place where their sons would take wives until the need for movement necessitated their return to Judah. Usually when we think of migrations, we think of birds or animals, drawn into seasonal journeys for the purpose of breeding or feeding. It’s not so different with humans. We move for lots of reasons. The deaths of all three husbands are only one reason. So here we have three widowed women. Naomi takes charge and decides to return to Judah where she has heard God looks kindly on his people and where God will provide food. She tells her daughters in law that they should “migrate” back to their mother’s houses. Orpah consents, kisses Naomi good bye and returns to her mother. 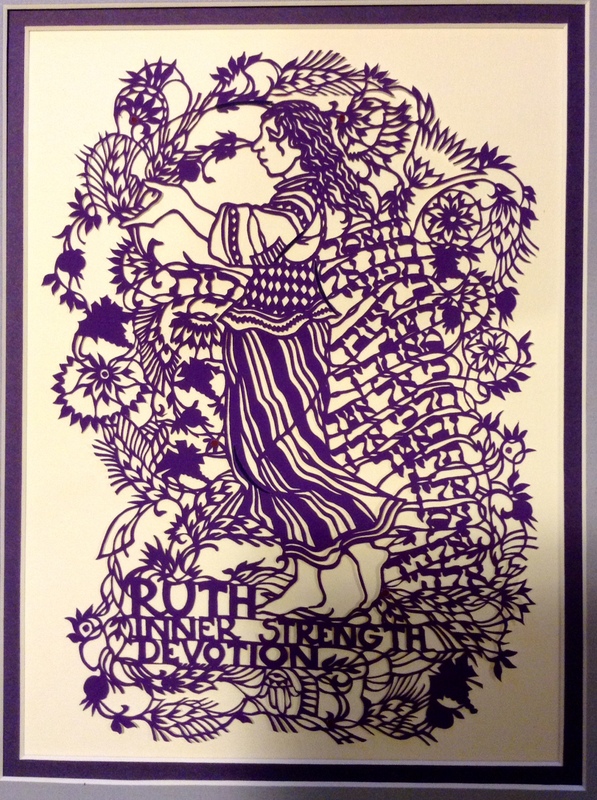 In contrast Ruth “clings” to Naomi while pronouncing the famous words, “Where you go, I will go; where you lodge, I will lodge; your people will be my people and your God my God. Where you die, I will die—there will I be buried”. These two unmarried, widowed women, unaccompanied by men, make their forty mile journey, crossing the Jordan River to Judah, two friends joined by loss and by love. Have you ever made a connection with someone who wasn’t your biological parent? Have you ever left your home, in search of a better life? Have you ever felt inexplicably drawn to a new destiny, uncertain of the outcome yet following an instinct to move? When the spirit calls you forth, you must answer or die–just as you cannot stop a butterfly from emerging into a new creation. I don’t recall who said it but “For us humans, the who and what that we are today cannot contain the who and what that we will become.” We are always migrating towards that spirit of becoming, that spirit of “next,” that when answered, draws us into greater harmony with our creator. Transitions are seldom limited to geography. There are whole body, whole soul transformations. Life is about movement, growth and becoming. The dead sea is dead because there is no movement. It’s even more so in our faith lives. We move from dogmatic certainty and black and white belief systems to the place of having God meet us in the questions of life. God becomes less of a life preserver and more companion and counselor. Movements take place when we join a particular church and begin to feel a new sense of belonging and right place. When you think about it, we are all beneficiaries of this instinct to move. Nearly all of us come from immigrant families. Salem was founded by people drawn by the spirit. I’d like to believe it was our mothers that took charge, as did Naomi, keeping the family together as they took unlikely routes, dreaming uncommon dreams, and realized Godly outcomes. Mother love keeps us going and brings us home no matter where we are. And do you know the rest of the story? Beyond our reading mother Naomi takes charge again, introducing Ruth to her kinsmen Boaz. Our sacred text records “So Boaz took Ruth and she became his wife. The Lord then enabled her to conceive and she gave birth to a son”. Mother Naomi answered the voice of destiny and Ruth followed. And the payoff for following their shared destiny—Ruth’s child Obed. Obed was the father of Jesse, the father of David. And so with the birth of Obed, Ruth became the great, great, great, great….. great, great grandmother of Jesus. Through love, loyalty and the following of spirit, Ruth and Naomi liberated their situation, becoming survivors; heroines and women of noble character, not to mention becoming the progenitors of Jesus. And it all began with a mother’s love. Happy Mother’s Day. Typically sermons build to a central point, but this morning I’m going to get to the point right up front… Here we go. What would our lives be like if we expected miracles on a daily basis? In other words, let’s suppose that extraordinary outcomes don’t happen only to people in the bible or the National Enquirer…. Imagine that your spiritual mindset, your daily and confident expectation, is that you have your very own miracle maker. That is the example of Mary. Mary had a miracle maker as part of her family, her “team.” What if we, who are also part of ‘Team Jesus,’ were to adopt that same expectation; that same miracle mindset? When the wedding host runs out of adult beverages, it is clear that Mary not only knew Jesus could fix the problem, she expected nothing less than that he would. It was no small thing to run out of wine at a wedding. It was how you demonstrated hospitality and it also represented the flow of good fortune that would follow the new couple. So to run out of BLESSING was an unconscionable faux pas. Weddings are used throughout the bible as teaching illustrations. The king who gives the wedding feast to a bunch of no shows in Matthew 25. The “what not to wear” account of the wedding guest who gets thrown out for not wearing the right clothes, in Matthew 22. The big seating chart dilemma in Luke 14. What can we take away from this particular wedding story? Well, stuff goes wrong at weddings as in life. I can attest! The couple arrives to realize they forgot the rings and the wedding is delayed 45 minutes while they run home. The matron of honor had surgery recently and shouldn’t be standing for a long time and … you guessed it. She collapses during the vows. The bride’s mother threatens to make a scene if her ex-husband (the bride’s father) brings his new girlfriend to the wedding—which of course he does. Or…guests don’t bother to RSVP for the reception, but show up anyway, assuming there will be enough food and drink for them. And there isn’t. We can wonder if that’s what happened at the wedding at Cana. And so a wedding is the scene John’s gospel uses to tell of Jesus’ first of seven signs of his divinity. Each of the seven signs in the Gospel of John illustrates the miracles or public actions that reveal his identity. Whether Jesus is changing water into wine, feeding the 5,000, walking on water, or raising Lazarus, each story is told to reveal something about Jesus and the human condition. They invite us to take on the role of the people Jesus encounters in each story. Many believe this is why some people remain unnamed. We are to fill in the blank with our own name. That makes it easier for listeners to step into their space to stand with them in the experience of the scene. At the heart of the wedding at Cana, human resources are at an end. There is no more wine left. In other miracles in John, humans have come to an end of their medical skills, supply of food, or supply of courage. In each case Jesus heals, feeds, and comforts amid the storm. Here he supplies what is needed for the feast to continue: the gift of wine. 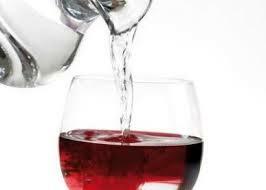 The gift of wine is given to propel us forward to the hour when the gift will be new life. Throughout the scriptures we have always referred to these gifts or signs as MIRACLES. And then…we check out! Miracles don’t exist today, right? And if they do, have you ever seen one? Or they happen to other people, right? Wrong. Just what constitutes a miracle? Miracles are happenings that we don’t naturally expect. Why? Because NATURALLY, when left to our limited human limitations, our expectations tend to be pretty low. Maybe we’ve forgotten that we are part of team Jesus! Speaking of only our congregation, it was nothing short of a miracle when our Dorothy Hansen fell in her apartment and the man who normally walks the halls earlier, walked later and heard her cries. It was nothing short of a miracle that Marlys Nauman is recovering from a grave medical condition that in part turned out to be due to being given the wrong medication! It is nothing short of a miracle that Salem’s dining hall, over the last 60 plus years has probably fed more than 5,000 cups of Swedish egg coffee, pancakes and meatball sundaes! Years ago I used to hand out special writing pens wherever I went. I was so struck by these words that I had 300 pens engraved. Would you like to know what was written on the pens? “The universe rearranges itself to suit your picture of reality.” In other words, you’ll always get exactly what you expect. If your expectations are low, I guarantee that the universe will line up to verify that for you. But if your expectations are born of a miracle mindset, watch out, because God will deliver. We can either live as if everything that happens is ODD or as if everything that happens is GOD. It is a choice. Bad things may still occur but ask Kevin McGandy about the unexpected blessings and miracles cancer is bringing into his life. Our gospel today is an Invitation to Experience the Miracles Ourselves. Team Jesus is about what is possible and… the possibilities are limitless. Because by the way, when Jesus turned water from the stone jars into wine, it added up to 180 gallons of the finest vintage they’d likely ever see. And it was more than enough. Who do you follow?” That was the question I was asked while on vacation this past week down in Austin, Texas. I’m not a huge fan of Texas in general but I love Austin. I served there as an interim pastor in 2007/2008. You’ve got to love a place where the slogan is “keep Austin weird.” Austin is a bohemian mix of high tech, hippies, musicians, government types, and mystics. It was during dinner one night that I was asked the question. At the dinner table were people who identified as Christian, spiritual, metaphysical, as well as a Christian woman who now practices Sufism, the mystical branch of Islam. She was who wanted to know which spiritual leaders I follow, along with what preachers I listen to. As curious as she was about me, I became curious about what this woman was looking for that she hadn’t found in Christianity. Was something missing? Had she grown tired of Jesus? Had she never found the growing edge of the faith she grew up with? Personally, the more I have studied Christianity, the more I find right under my nose. I want to add that I applaud anyone drawing from multiple spiritual disciplines, however, I also hope they continue to excavate the treasures of them all. The encounter was on my mind when I got home and opened my bible to see what the gospel passage was going to be for today. John 1. Perfect. In all of the gospels, one of the first things Jesus does is call disciples-dedicated followers. But in John 1 the first question Jesus asks those followers is: “What are you looking for?” At one level, the question asks why they are walking after him. Fundamentally, this is the existential question asked of any potential disciple: “What do you seek when you come to follow Jesus?” Both questions are worth pondering. Did you notice that they answer his question with another question? They ask him where he is staying. The Greek word translated as “stay” is menô, a term that signifies a permanent remaining or abiding. Their question asks for more than location. They want to know where Jesus permanently abides, reflecting the innate desire of any disciple is to be in Jesus’ presence always. That simple encounter conveys a desire for sincere relationship. Relationship is key. Without mutual relationship, the encounter with Jesus would not have taken. It would have remained a meeting and nothing more. Then Jesus says something else. He says, “Come and see,” taking it a step further with Nathanael. In this short passage of sacred text, Jesus lets Nathanael know that he has seen him under the fig tree. In other words, this man Jesus KNOWS him, knows of him, and has SEEN him. When we come right down to it, isn’t that what we all seek? That God knows and sees us? So, what are YOU looking for? What is it that you seek? 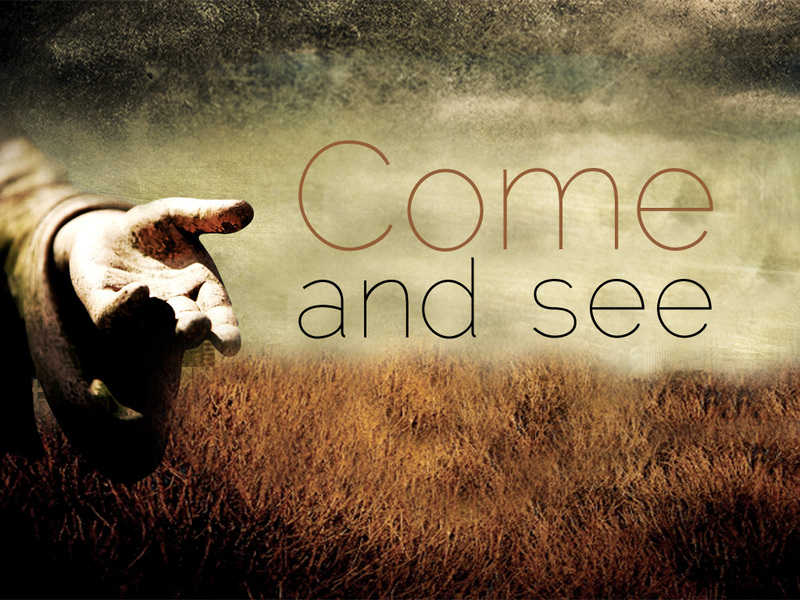 Have you answered Jesus’ call to “come and see?” To “come and see,” is to risk genuine relationship. By saying “come and see” Jesus is inviting us to experience relationship, and to pay attention to what Jesus is up to in your life and in our world. Through this invitation we learn that faith is not a series of answers to be mastered and memorized. Relationship with Jesus is an experiential way of life. And…it cannot be phoned in. Dear Jesus, today I call on you in a special way. Mostly I come asking for favors. Today I’d like just to be in Your presence. Let my heart respond to Your Love. It was then that I realized how angry I was with God–not for taking Jeremiah (because I don’t believe that) but rather for the access I no longer had to my child . Relationships stall when we’re angry. So I imagined that Jesus was sitting next to me and, well, I blasted him! “Where is my son? Why can’t I talk to him? Even a prisoner gets one phone call!” I yelled. It was in that moment, while sitting in front of my computer, that I felt the presence and heard the voice of Jesus. And Jesus said, “Jeremiah is fine. He is here, here with me.” The anger drained from me. It was all I needed to restore my relationship. I knew in that moment that I was seen, I was known, and I was understood. Thanks be to God. As we begin a new year, I invite us to begin a new relationship with God. God came down for relationship! This year, let us come to a place of knowing that God sees us. And with deep heart knowledge, let us share that good news with a world that needs the peace of that knowing. May it be so. The church and the Crawleys are challenged with an urgent and uncomfortable need to modernize, over and against the paralysis of wanting things to remain the same. The characters of Downton Abbey and the Church understand that being part of a community includes accompanying one another in times of loss and crisis, birth and gain. Both the Abbey and the Church are reluctant experts at employing gossip and innuendo as a way of moving information along in community. I don’t like this one. The Crawley family has Violet, the Dowager Countess, expertly played by actress Maggie Smith. Many church congregations also have a matriarch–a colorful woman who knows where all the bodies are buried and whose communication method includes the wisdom and wit of the caustic one liner. As the inhabitants of 1924 England, and Downtown Abbey in particular, deal with the changing roles of women, so goes the church. According to Hartford Institute, a multi-faith sample of 11,000 American congregations reveals that 12% of all congregations in the United States had a female as their senior or sole ordained leader. Whether 1924 or 2014, women will continue to exercise their voices and increase their place in leadership. Downton Abbey and the modern church are both reevaluating the tenets of their existence as well as the best use of their sometimes aging buildings. The irony exists that even the real Highclere castle, where Downton is filmed, is rented to the producers to cover rising costs of maintenance. 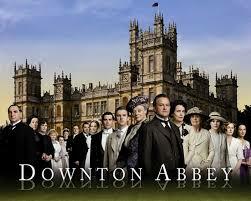 Does the Crawley estate exist to provide employment and protect tradition, as Lord Crawley and Lady Mary insist? Churches today are asking similar questions and evaluating the best “missional” use of church buildings. How can each continue to be a beacon of hope to the societies that have depended upon them? How best can they re-imagine a sustainable future? Downton Abbey has Mr. Carson, the elegant head butler who knows everything going on under his roof, and who struggles with maintaining the standards of the past amid the hopes of the future. The church has the senior pastor who knows much of what’s going on under her roof, and who also seeks daily to balance the future with the past, the practical with the possible. Season 4 will see many more guest entertainers to delight the Crawleys and their guests. 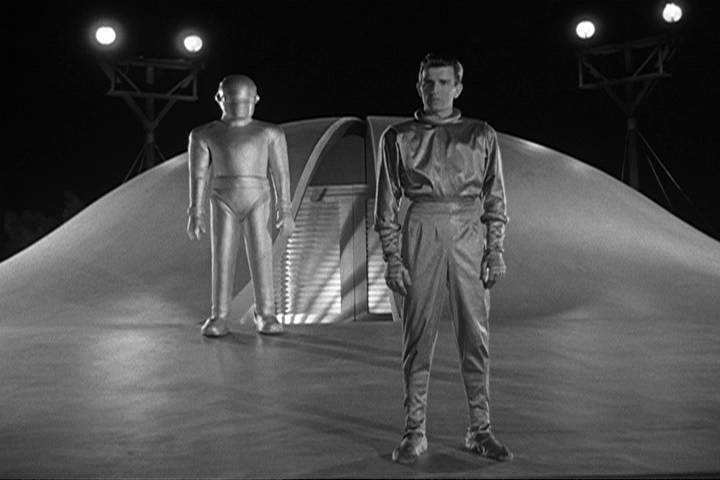 Likely several of the guest artists initiated the possibility of appearing at the iconic estate. Churches today are also paying for guest musicians and singers. In the church’s case, these appearances are initiated by a church that needs a few ringers from time to time as congregations age out. Downtown’s story lines have artfully brought to light the inequities of class and race, breaking with tradition to welcome “upstairs” a son-in-law who was once employed “downstairs.” Love is love. The church too has stretched it’s welcome and it’s witness, endeavoring to become communities of transformation and not separation. The death of Lady Mary’s beloved husband Matthew will challenge the long held practice of gender based inheritance. Baby George becomes heir, with Mary taking her place as a head of the Crawley dynasty. Roles and power are seen to shift in waves. The church of today would do well to consider its own shifting tides of inheritance, ownership, and power. Can anyone own tradition? And in the long run, isn’t that the wrong question? OK, just one more. Both church and Downton Abbey bring together grand collections of unforgettable characters, full of humor, heart, and yes, DRAMA. I love them both. Did you hear the news? We’re all pregnant! It is the central truth of Advent…that we are all “expecting.” Such a miracle is this! Mary did not take a test to prove she was with child, it was simply announced and she was open to receiving it. Are we? The knowledge that we are expecting a holy birth has the power to change everything. When you’re expecting, you are full of hope, excitement, and anticipation. You buy gifts with the baby in mind. And the closer the birth, the more you cannot ignore it. The baby kicks, wakes you up, capturing your imagination with all the ways life will change. So it is with Advent. Advent is pregnancy at its best.